Chicken pox, teething and puberty are all rites of passage that come naturally and inevitably. 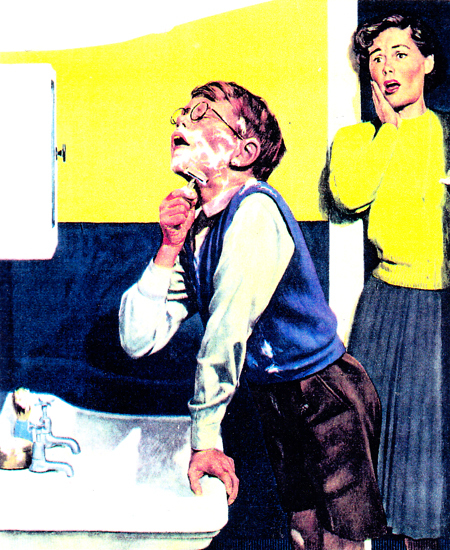 Shaving though, is an altogether more complicated affair. Like the first kiss, it looks much easier to pull off than it actually is. However accurately you copy your dad or the TV ads, nerves and excitement get in the way and a bloody chin is the usual end result. My first shave was complicated by the fact that I didn't have a father to copy from. And when I bought my first bag of disposable razors there were no instructions on how to use them! So I learnt by comparing my imaginary technique with 15-year old peers at school. Gradually, a shaving routine began to evolve; warm water, aerosol foam, Bic razor and finally, torn up scraps of toilet tissue for the inevitable cuts. That initial groping in the dark triggered a desire to know more, and now I've become something of an authority on the subject. I have written articles for the national press, have met up with market leaders for razors worldwide and even made a half-hour film about it. My search for the perfect shave started in Egypt; on the day that the photo alongside was taken. 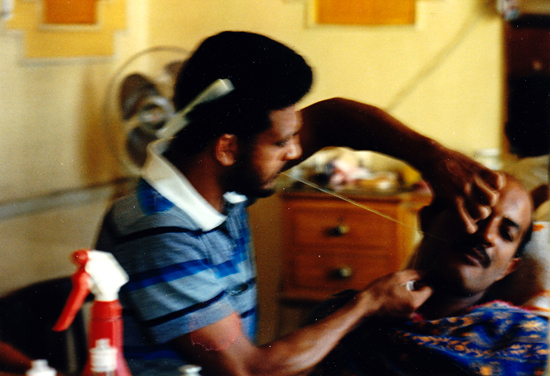 I had already learnt that having a barber shave you was a pleasure. A professional shave stimulates the senses: the smell of scented hot towels that cleanse the skin and open the pores; the feeling of relaxation induced by a face massage; the sound of the lathering brush followed by the expert removal of the whiskers is a nice time out from the usual stresses of life. Guys have a hard life sometimes, and so 30 minutes having a deep shave and having nothing to do but think 'other' is bliss. What tickled me was what was going on in the chair next to me. I had noticed that Arab men usually have extremely strong growths of head and beard hair, and how super-smooth their faces were when they were at an event that required them to be smart. Now I found out how that was achieved. The barber had a reel of cotton which he wrapped in a kind of cat's cradle around his hands and anchored the ends in his teeth. He then used this to tweak out all the baby hairs that lie beneath the eyes and above the chin, and then for good measure those hairs on the ears. For me, this practice, known as threading, was a revelation. 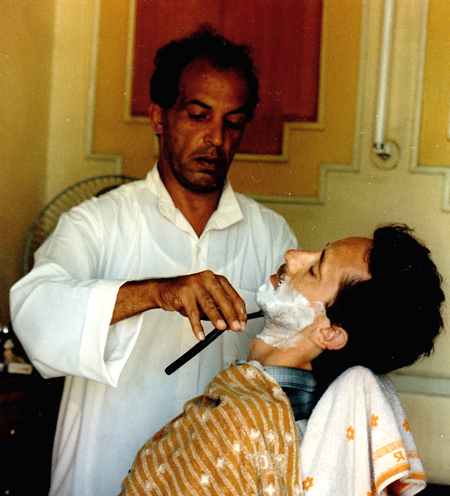 It led me to wonder how many other ways there are to remove facial hair, how long they had they been practised and how they had ended up in certain parts of the world without other people knowing? The anthropologist in me was outed and the researching instincts activated. My mission was to find out as much as I could and spread the word.